M Vallu is a retired air force pilot who served 28 years in the RSAF. During his tenure in the forces he held senior command and staff appointments that cemented his strong leadership skills in strategic planning, education, and training. After leaving the forces, he went on to the training sphere where he conducted workshops in Coaching and Facilitation. He then used his leadership skills to influence a project for a statutory body in Oman. M Vallu was the Chief Operation Officer for LDR Pte Ltd. In LDR, he was actively involved in the development of Leadership Training programs and in the designing, developing, and operation of interactive Mobile Learning Trials. He also managed the development of Level 1 and Level 2 e-Learning Coursewares. M Vallu has been coaching for the last 8 years and is presently an Executive Coach for the Republic of Singapore Air Force Senior Officers. His coaching style is non-judgemental and coachees find it very comfortable to be coached by him. 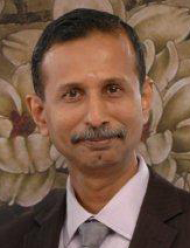 M Vallu is also a Certified SAF TetraMap Facilitator and also an International TetraMap Facilitator. He has been facilitating TetraMap workshops as part of the Command Effectiveness Process (CEP) for the SAF and NCC for the last 3 years. As a consultant, M Vallu was the Project Leader for the Change Management Transformation for Defence Science Technology Agency (DSTA) for one and a half years. During that project, DSTA was applauded for coming up with an innovative means for the communication of change management by using a tool proposed by the team. M Vallu was also involved in Projects in the Middle East where he was the project leader for a statutory body of the Oman Government. His work was praised by the Minister who personally sent him a letter thanking him for the support that he had given to the unit. M Vallu was also the Project Director in the development of Level 2 Computer Based Training progam for Hong Kong International Airport Radar Simulator. He completed the project with such a high standard that the client invited him to Hong Kong to give a brief of the process and development of a CAI. This project was partnered with STE (Info-Software Systems). M Vallu has been asked to present talks in the Global ASEAN Youth Congress for the last 2 years. He has introduced TetraMap to the youths. M Vallu is married with 2 children. He places great importance to family life and in nurturing his children to be great human beings. He loves to read and subscribes to continuous education in learning new concepts, views, and ideas. He also enjoys walks with his wife. TetraMap was only introduced to me in my later years. Thus when I reflect on my personality and character during my school days and during my career as a military pilot, I could see how my Elemental preference (Air/Water) had helped to achieve the goals that I had set out for myself and at the same time how the other Elements (Earth/Fire) had helped in situations that warranted me to adapting to show these preferences. I thus know the great value that TetraMap had to offer and I have internalised it to ensure it becomes part of life.